Digilab ProPREP II (2) Automated Protein Digestion System Analysis PRO80002 . New Life Scientific, Inc. 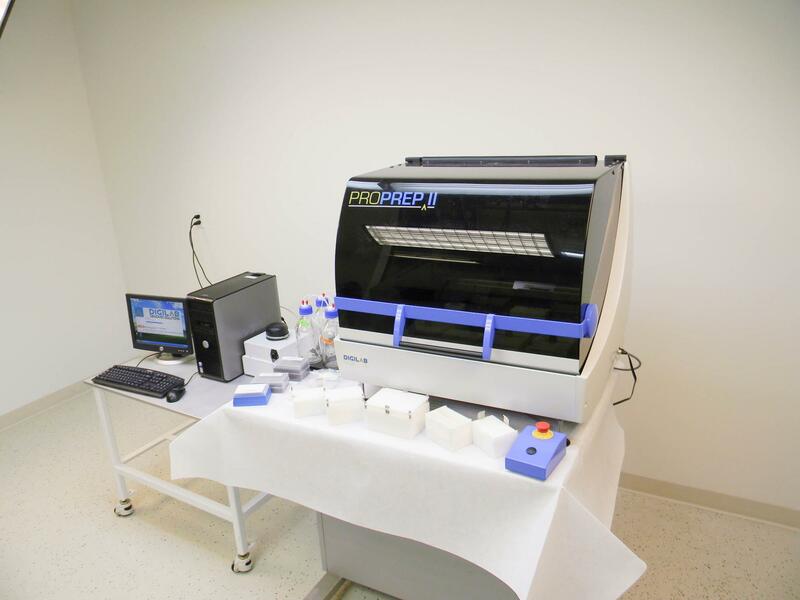 This 2008 Digilab ProPREP II is in excellent condition and has seen very little use. It comes with a computer and analysis software. If you are looking for the only way to reliably automate the preparation of your protein samples for downstream mass spectrometric analysis, then Digilab ProPrep II is your solution. It offers protein digestion and processing for MALDI targets or LC/MS, automating all steps of sample preparation in a flexible manner, supported by pre-set or easily customized protocols. The ProPrep II offers you peace of mind and gives your samples the best treatment.